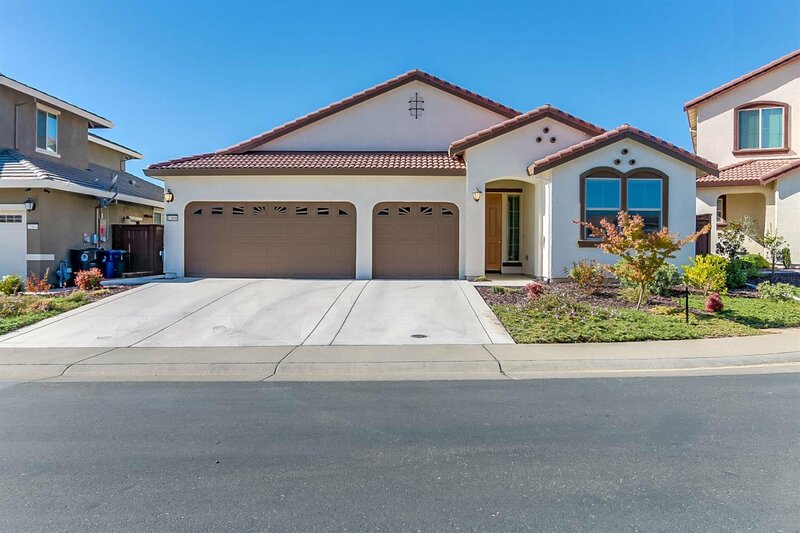 This is the desirable PRESTON floor plan by Lennar Homes in the Rio Del Oro area of Rancho Cordova. Beautiful one-story with 4bd/3ba offers lots of natural light, a full master-suite, and tankless hot water heater. Kitchen with large island has stainless steel appliances and granite counters. Tile floors throughout home with carpet in the bedrooms. Plenty of room for toys with the 3-car garage. And NO REAR NEIGHBORS! Close to parks, schools, and all new shopping center. Listing courtesy of Opendoor Brokerage Inc. Selling Office: Loans Realty Group.